villanos de disney. . HD Wallpaper and background images in the villanos de disney club tagged: disney villain villains ursula jafar hades captain hook hook cruella de vil cruella kaa. 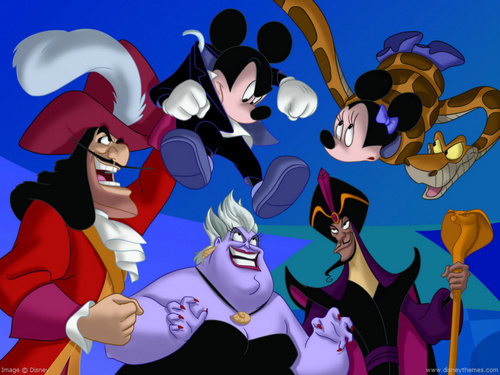 This villanos de disney wallpaper might contain animado, cómic, manga, historieta, anime, and dibujos animados.